We’re looking forward to the NASS Winter 2018 Conference in Washington DC. 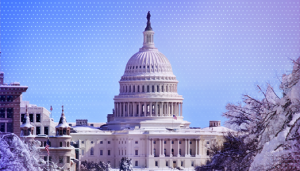 The team from Foster Moore – The Registry People® are looking forward to participating in the National Association of Secretaries of State (NASS) Conference in mid-February. Foster Moore is a platinum partner of this auspicious event and is proud to support to ongoing work of the Secretaries of State in their provision of modern services to their business communities. As a global leader in business service technology solutions, Foster Moore brings international and US specific experience to the provision of business services. Our experience in Corporations, UCC, Trademark and Notaries registries incorporates the very best of modern digital service delivery. Our Catalyst™ Commercial Off the Shelf Software powers some of the most modern and innovative business registries across the globe. Modern business registries are supported by a very active network of registry people. Learning from each other at conferences like NASS means we’re all here to help businesses grow our respective economies easily and quickly. And for that opportunity, we’re grateful to NASS for allowing our continued involvement. Foster Moore implements registry solutions globally. Our first fully online registry was developed in 1996: since then we’ve built over 30 different types of over 20 business registries internationally. Foster Moore has offices in Raleigh, North Carolina’s Research Triangle area, and Toronto, Ontario. These offices deliver our North American projects. Our New Zealand office develops solutions for countries around the world, with a focus on emerging economies and global integration. We look forward to meeting those of you participating at NASS in Washington between the 16 – 19 February 2018.